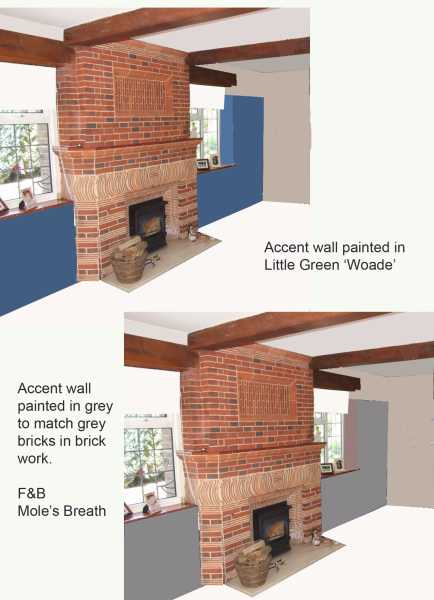 Cuckfield Interiors is an interior design platform to help visualize awkward spaces in your home or workplace with ideas of colour, furnishings, and lighting. Perhaps you have just moved house, had an extension built or have tricky spaces to fill and a budget to adhere to. I can also help in the early process of a build with advice in placing electric sockets and lighting. Living in West Sussex I could visit your home if you live within 30 minutes of Haywards Heath and talk through some ideas, for an hourly rate of £75. To develop suggestions and further by visualizing room style or space in the form of colours, sketches and images, choosing bespoke or high street furnishings and fabrics the price would be £150 per room/interior. I can also help you source items if you are looking for an unusual piece. The final ideas would be presented in a folder or mood board (images and samples displayed on a board). Living further afield if you supply photos and dimensions of the space I am happy to give you some ideas online for the same hourly rate. 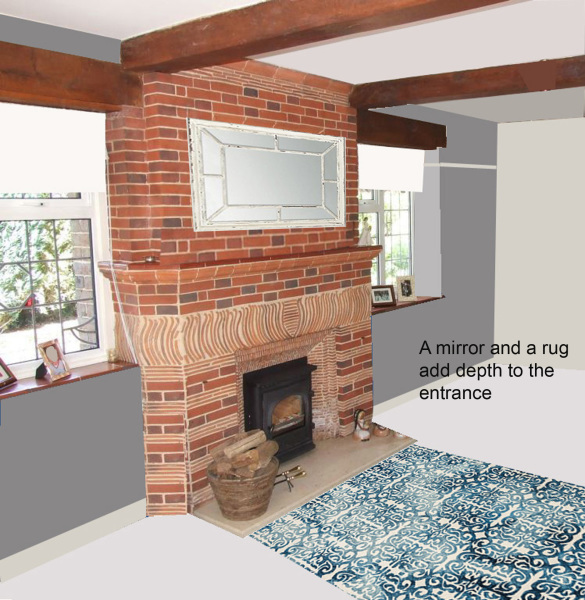 The above photo is the 'before' entrance to the interior, adding a rug and a mirror (or large picture) takes away some of the impact from the huge brick fireplace. This results in a brighter and more cheerful space. 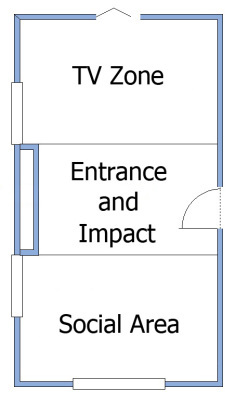 The above pictures show a long narrow sitting room that I have split into zones. 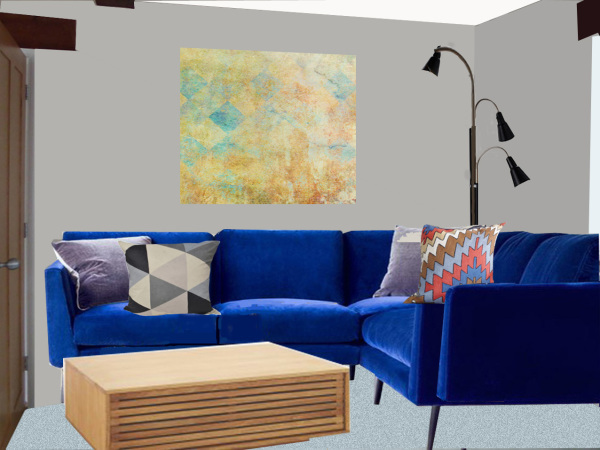 The picture to the right is the proposed social sitting area using furnishings from sofa.com and Habitat. I supply hand embroidered cushions and rugs made by talented artisans in Kashmir. 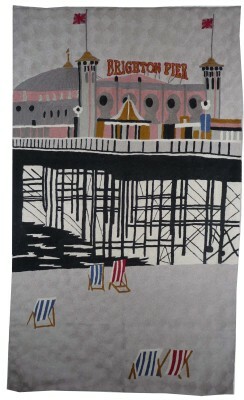 This one of Brighton Pier is unavailable anywhere else. 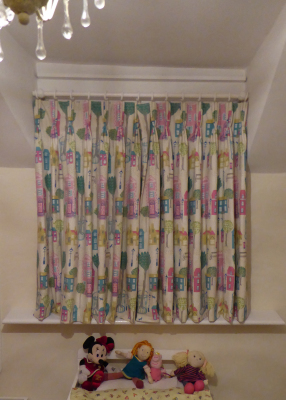 Beautiful hand tailored curtains and blinds made to fit any awkward space such as this little girl's bedroom window. i can supply curtains and blinds and occaisonaly have items to sell. 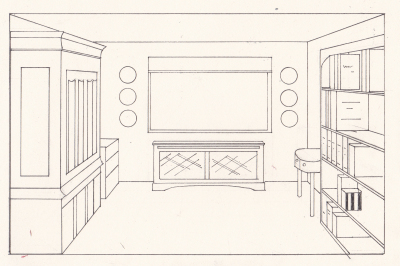 Perspective sketches help you visualise the interior. I'm a great fan of hand made creations and cushions are pieces of artwork for your sofa or chairs. They go a long way into making your interior unique. 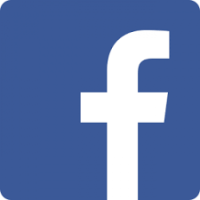 Follow Cuckfield Interiors on Facebook for pictures and ideas.